Mini-dental-implants are about half the size in diameter of a regular dental implant. This reduced size offers many benefits and can also be used in situations where regular implants cannot. 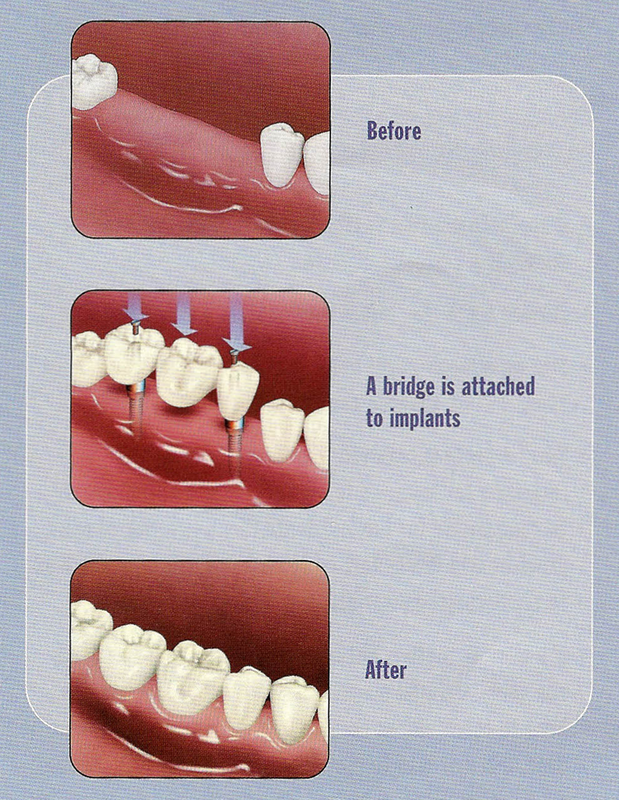 If an implant needs to be placed in a narrow space, mini-implants are the preferred method because of their smaller size. A main use for mini-implants is to install a full upper or lower denture. A series of 4-6 mini-implants are placed along the gum line and serve as the base of the denture. Rather than placing a single implant for a single tooth, an entire lower or upper set of teeth are directly attached to the gum line. The small size of mini-implants often means that no incision needs to be made to place the implant. They can usually be inserted right through the gum into the bone. This eliminates the need for a recovery period and the restoration can usually be placed right away or only a short time after. Mini-implants are also less expensive than regular implants. 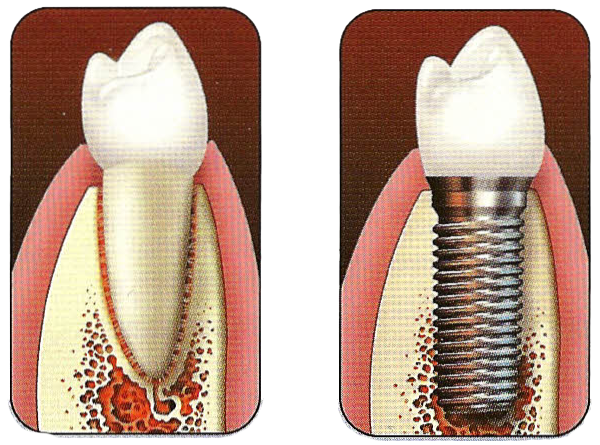 Only your dentist knows if mini implants are right for you,so call for your consultation.